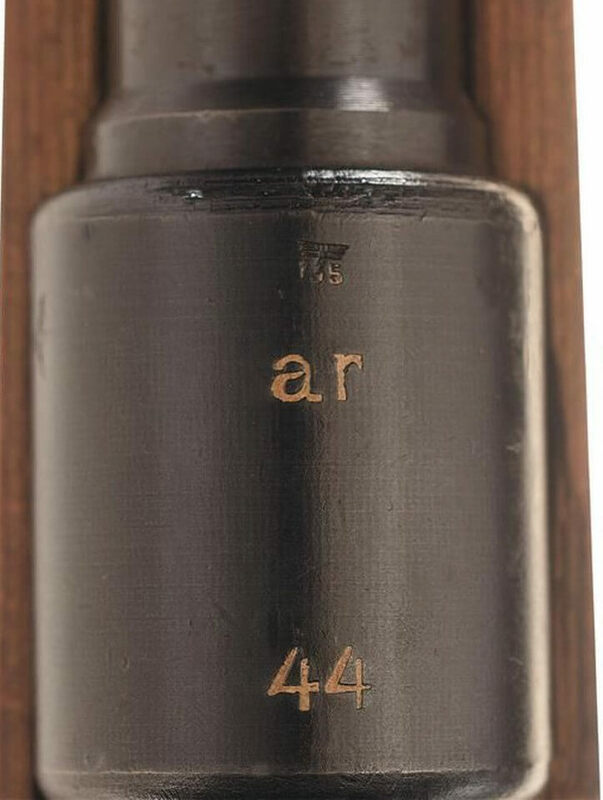 The Zielfernrohr 41, ZF41, was a long eye relief scope, issued by the German’s in large quantities in WWII for use by sharpshooters with the standard battle rifle, the Karabiner, K98k. 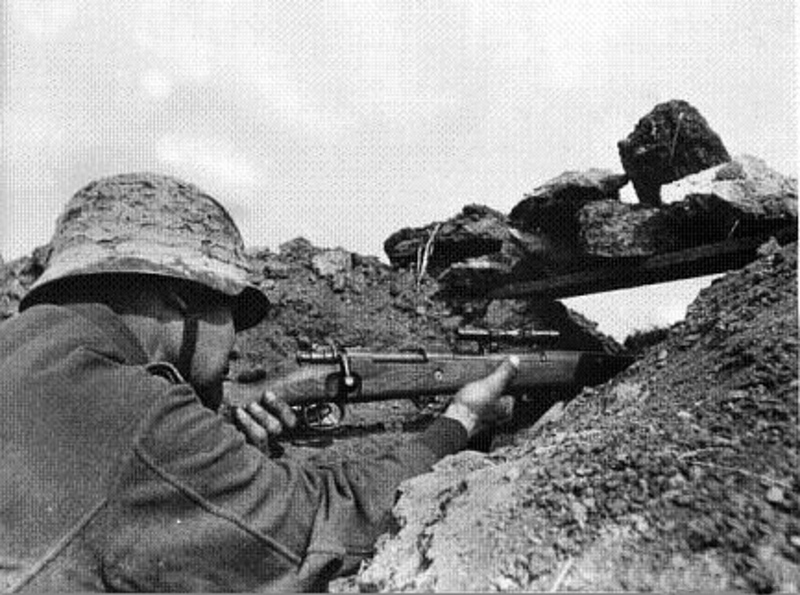 Specialist sniping was neglected prior to the outbreak of WWII, with standard of marksmanship being seen as sufficient to not requite individual specialist sniper training. Early wartime experience in Poland and France did show however, that there was a need to increase accuracy for sharpshooters, with an aim to hit small targets, such as pill box slits and so forth. The ZF41 was therefore developed from a project started in 1939, not as an out and out sniping weapon, but as a general aid for sharpshooters. 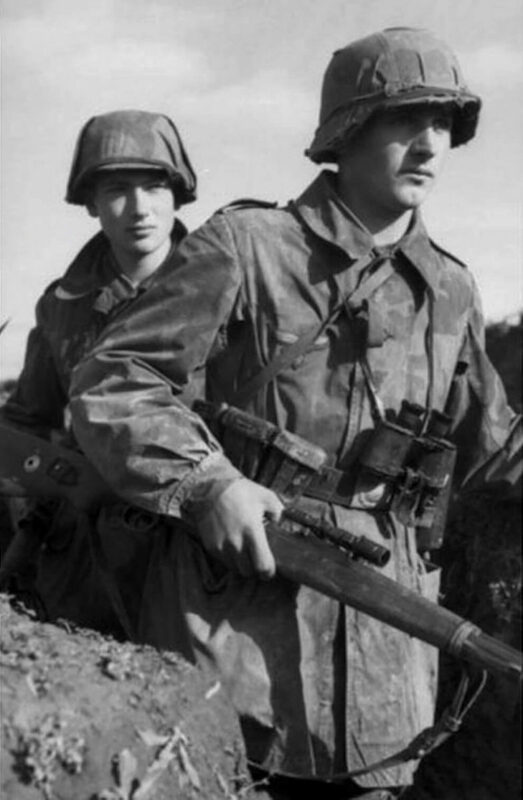 Although intended for use by marksman, such as the soldiers with the best shot at section or company level, by 1942 and as the war progressed, the German army was desperately short of sniper rifles and the ZF41 was pressed into service as a sniper scope and used for its original intended purpose. 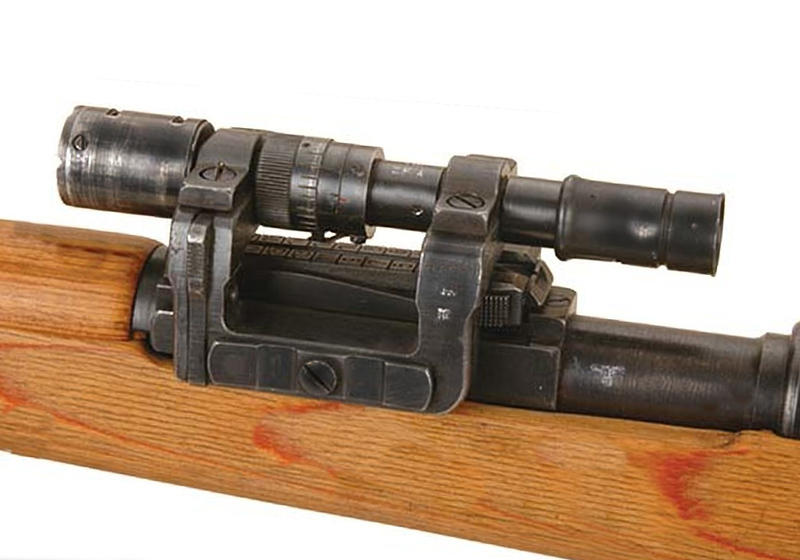 The scope was 1.5 x powered, with a side rail mount, that was attached to the rail on the side of a K98, on the left of the rear sight, by rollers. 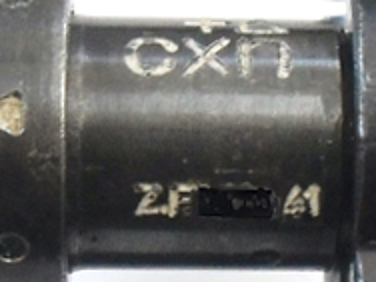 Initially the rollers were flat, but changed at an early date to bevelled rollers. 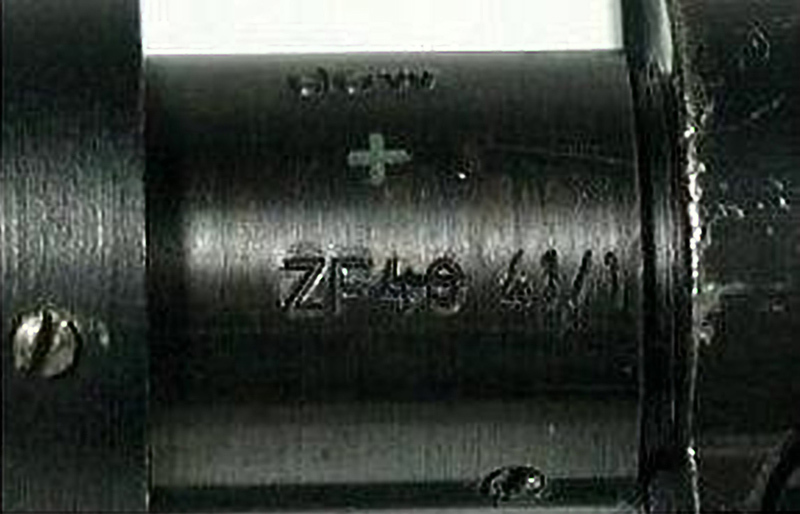 Factory issue K98’s with the ZF41 were zeroed prior to final issue. 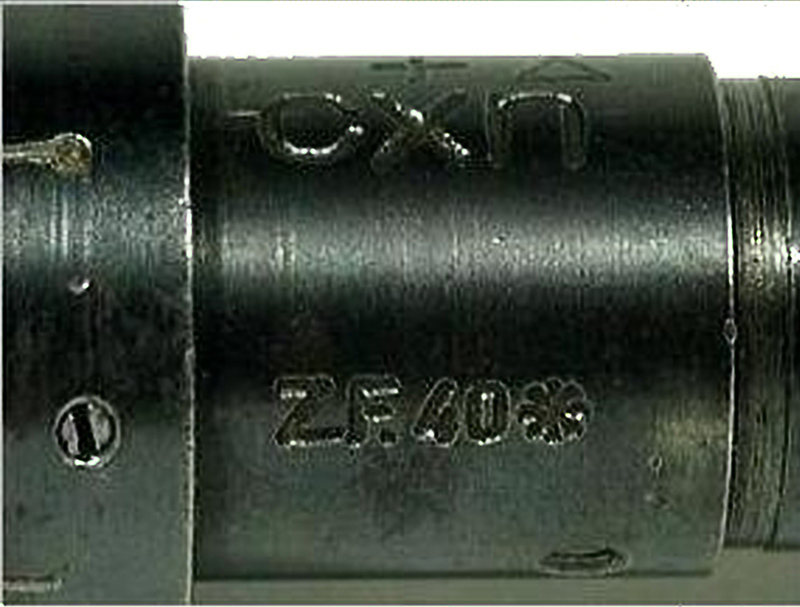 Early production ZF41’s were matched and zeroed in to specially selected accurate K98k rifles at the factory. 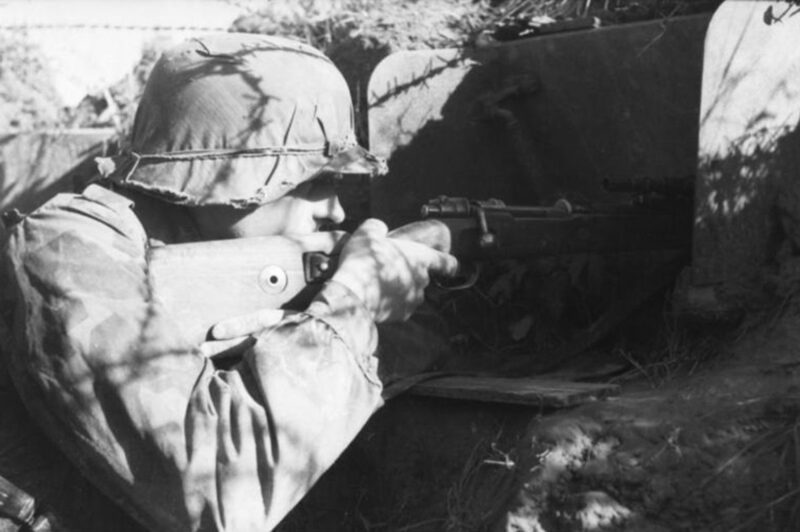 As production expanded and to augment the production of sniper to fulfil demand, the Germans developed a field replaceable mount. 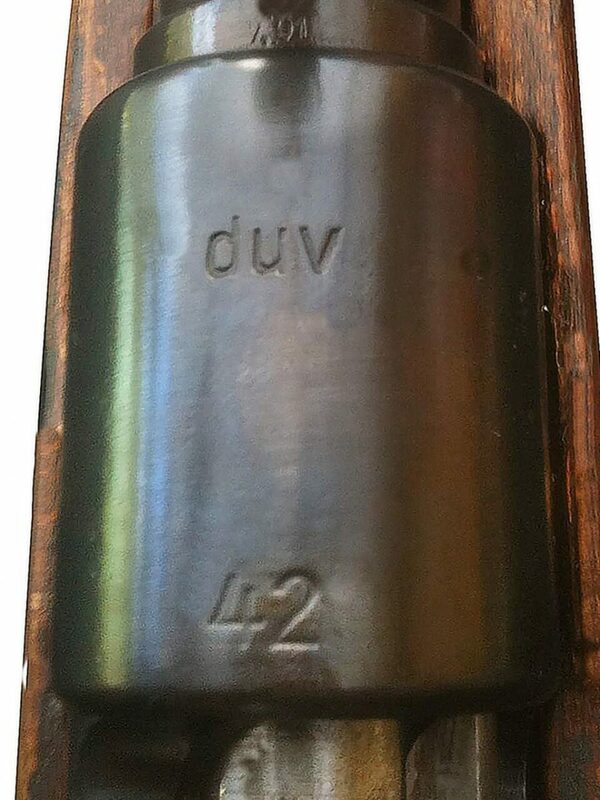 This could be fitted by a field armourer and simply attached to the rifle, by removal of the standard K98 sight leaf. 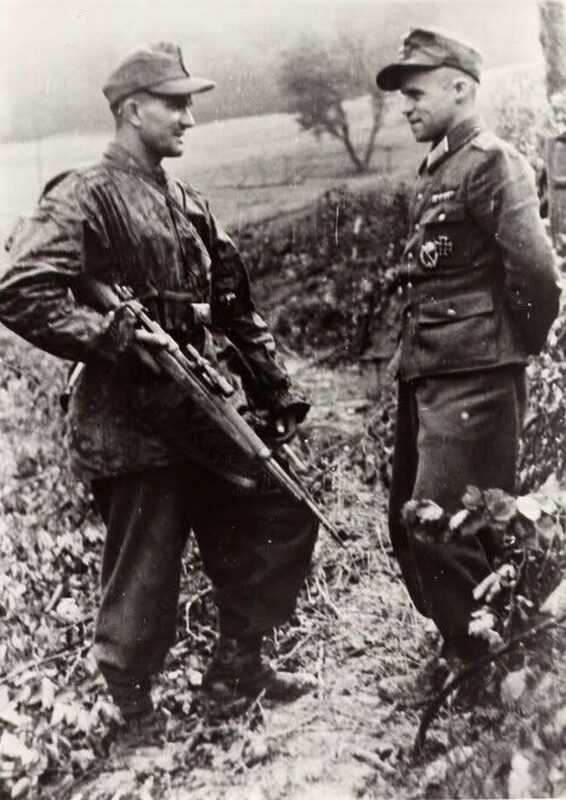 Although this did lead to an increase in scoped rifles, there would be an inevitable reduction in accuracy in lots of these field fitted rifles. 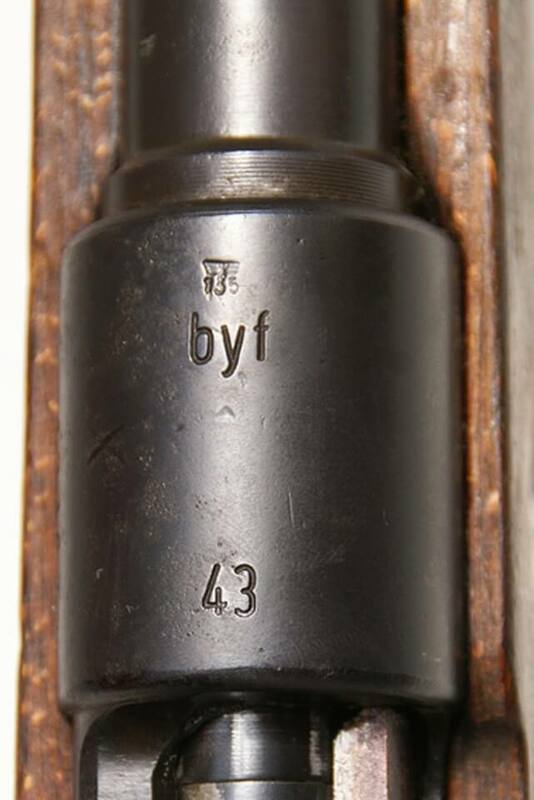 The ZF41 featured a 3 post reticle sight, standard on German sniper rifles. 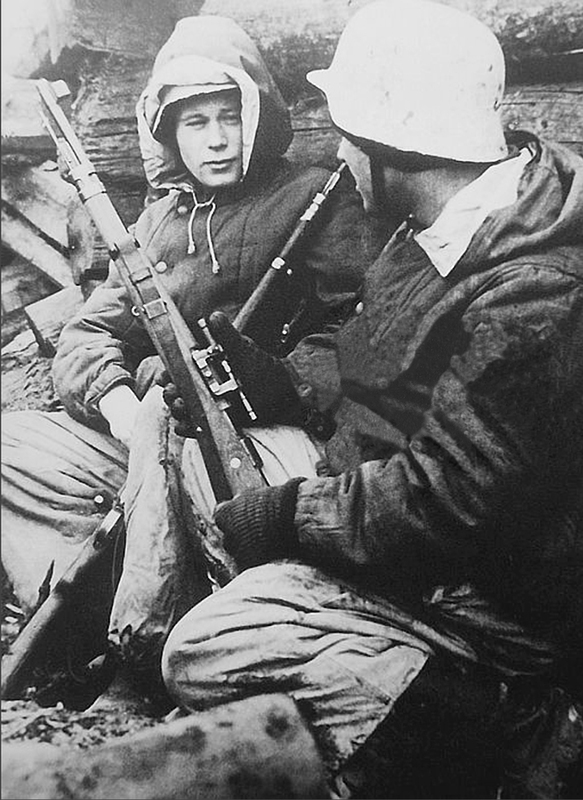 A German sniper pair, photographed in 1943 at Lake Ladoga, Leningrad. 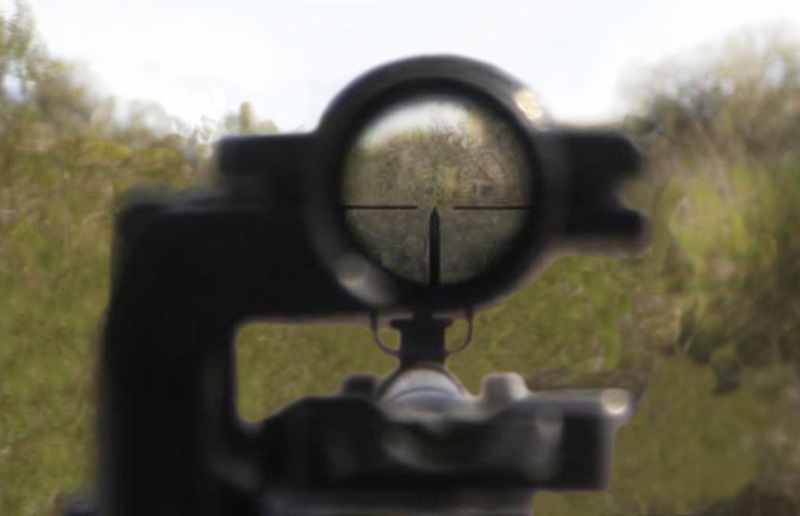 Initially, the scope was developed in 1940 as the ZF40. 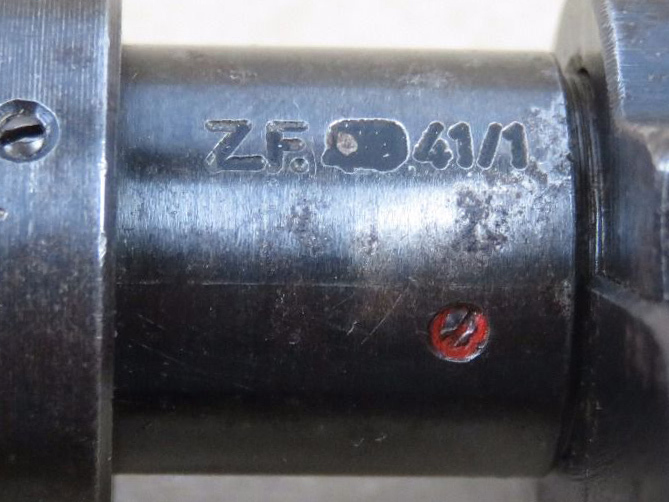 When widespread production started in 1941, it was re-designated the ZF 41. 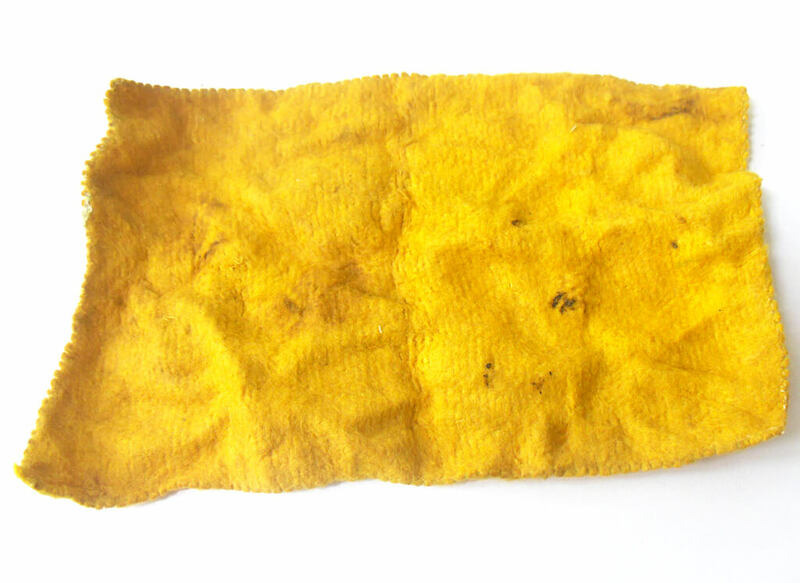 The scope would often bear an additional white or blue small stamp, stating the lubrication oil or grease used. 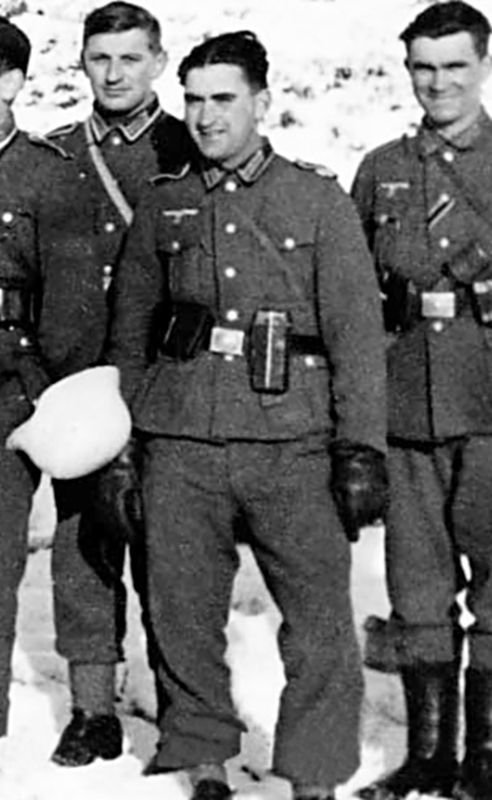 This was important, as the oil would freeze in the sub zero temperatures on the Eastern Front. 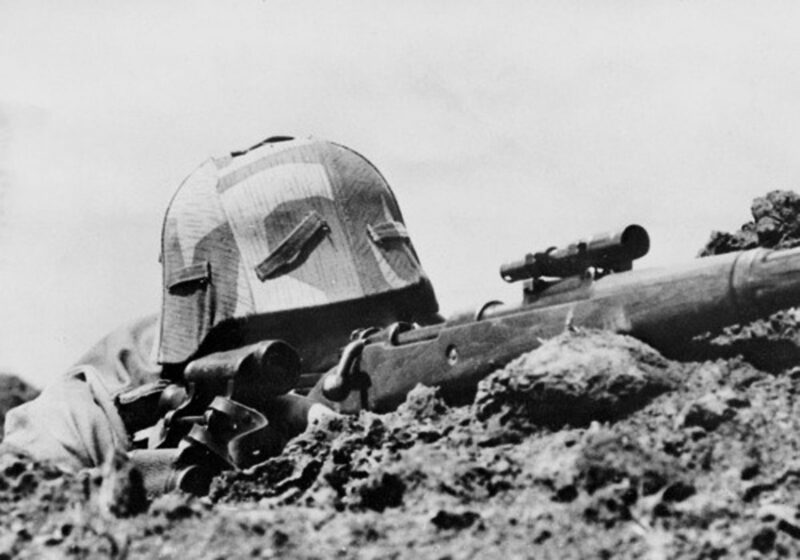 From 1942, six percent of all K98’s were to be equipped with the ZF41, although it is doubtful whether anywhere near this figure was achieved. 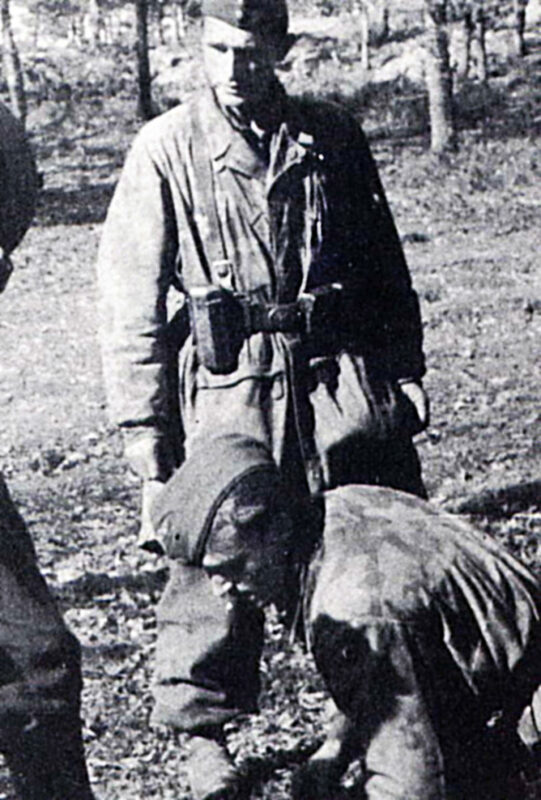 By 1944 the telescopic equipped K98 was not held on the inventory or considered as a sniping weapon, enabling general wider issue to non specialist troops. 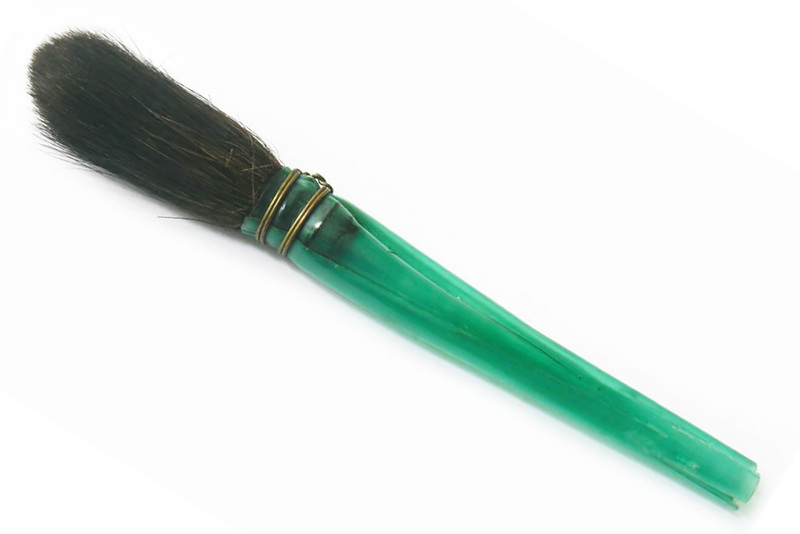 By 1944 around 90,000 were known to be issued and at the close of WWII it is estimated that around 100,000 had been produced. 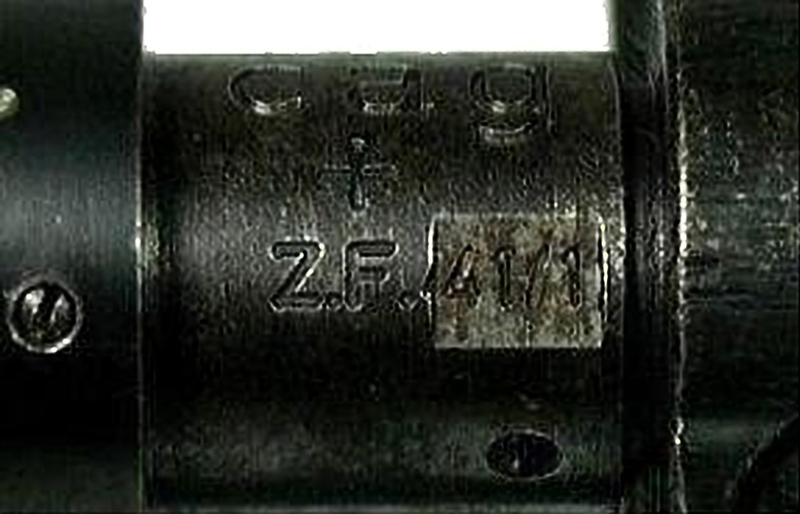 Towards the end of the war, the ZF41 was due to be phased out with issue of the ZF4, 4x power, optical sight, but production was known to be continued until 1945. The ZF41 remained in service until the end of the war. 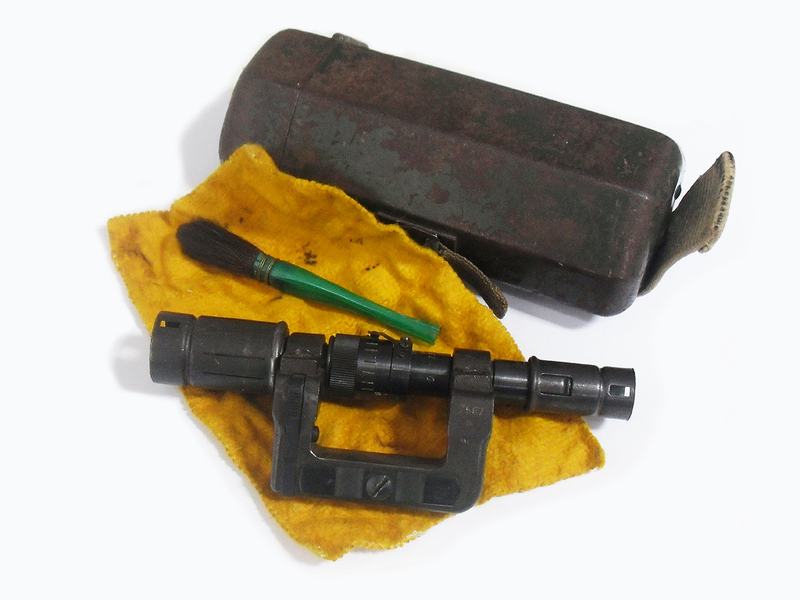 The ZF41 was issued with its case (Behalter), dustbrush, 2 rainshields and clarinol cleaning cloth (specialy treated to clean the lenses). 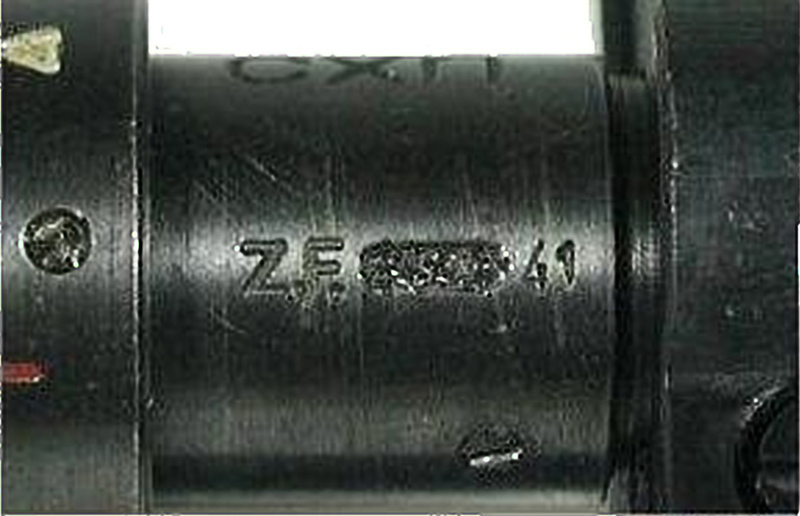 Although historically deprecated for its use as a sniper scope, the ZF41 has been shown to be highly effective and increase the accuracy at mid to high ranges. This accuracy was not practically possible with standard iron sights and therefore the sight did achieve the job that it was designed to do. 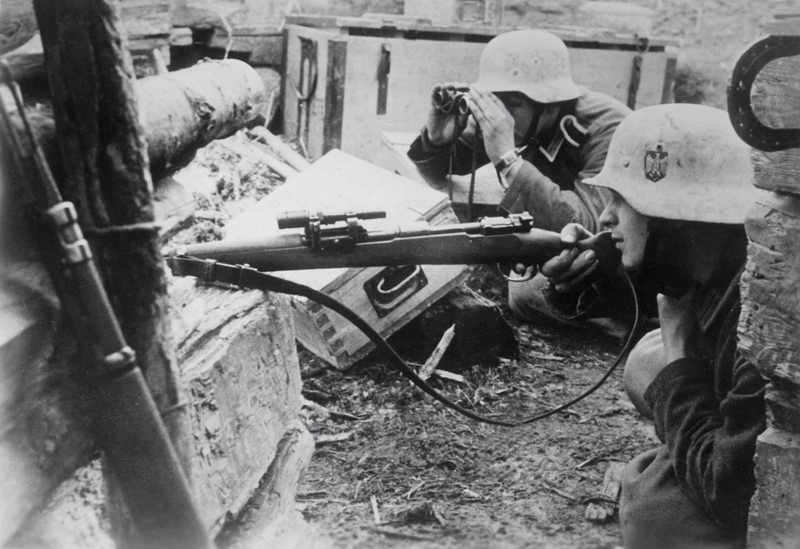 The misuse of the ZF41 as a specialist sniper scope was due to the lack of planing by the pre-war German army and the growing demands for sniper weapons in wartime. It was an expediency measure, with a high number of ZF41s being manufactured.